It was a bad day for the self-styled godman, Asaram, who sought Supreme Court’s indulgence to grant him regular bail in the case involving sexual assault of a minor girl, and an interim bail on medical grounds. The Supreme Court bench of the Chief Justice of India, Justice J.S.Khehar and Justice N.V.Ramana, took up Asaram’s case as the very first item at 10.30 A.M. today, and spent about an hour and a half, hearing all his three petitions. The second petition, SLP (Criminal) No.7946 of 2016, which sought regular bail, on the ground that the examination of all the prosecution witnesses in the case is over, was also dismissed by the bench. The bench found merit in the submission of the Rajasthan Government that Asaram himself was responsible for the delay in the trial. The investigating officer in the case was summoned 104 times for cross-examination, the Court was told. The bench also took serious note of the fact that there were attacks on prosecution witnesses, two of whom have been killed, and that the lady investigating officer was threatened by a hired assassin. The bench advised Asaram’s counsel, to conclude the examination of the defence witnesses at the earliest. 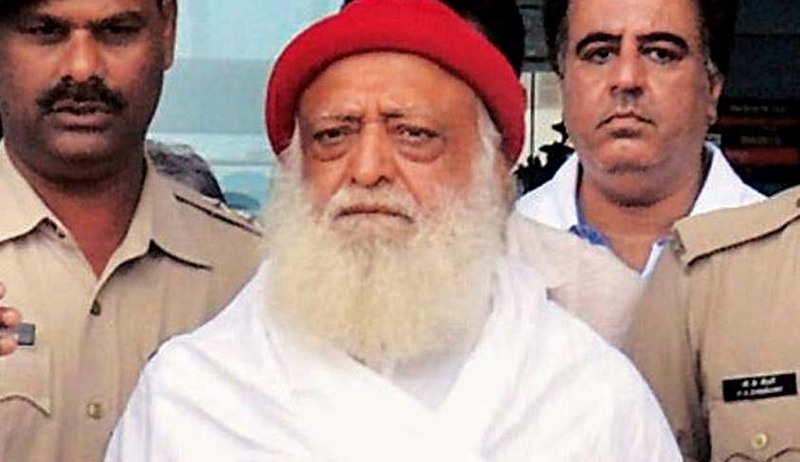 The bench also took a serious note of the fact that a reply sent by the Jail Superintendent, Jodhpur Central Jail, where Asaram is lodged, under RTI, on the basis of which bail was sought, was found to be fake. The bench directed registration of FIR in this connection, and also imposed costs of Rs.1 lakh on Asaram. The third SLP (Criminal) No.6459 of 2016 in which the State of Gujarat is the respondent, has been adjourned for hearing on 3 February.